Inferential Electro-Therapy is a therapeutic treatment to aid in the relief of pain and promotion of soft tissue healing. 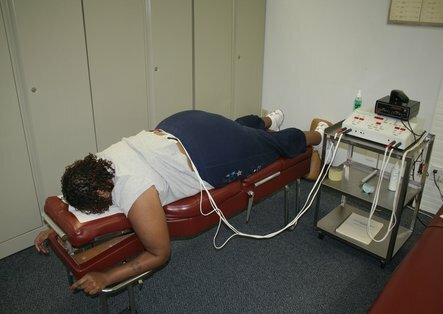 This therapy accomplishes this with a very low simulated frequency that is put on the soft tissue. The feeling of this therapy is very light and most patients feel very comfortable during the treatment. Ask Us About This Therapy Today. Call us at 816-373-3373, chat with us live online, or fill out an appointment form online.